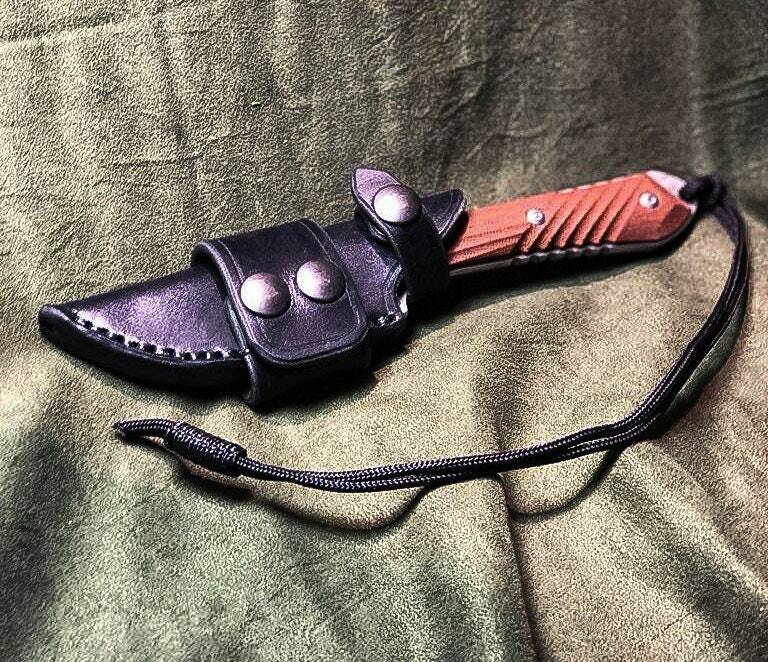 This is a handmade horizontal leather sheath for the Chris Reeve Nyala. 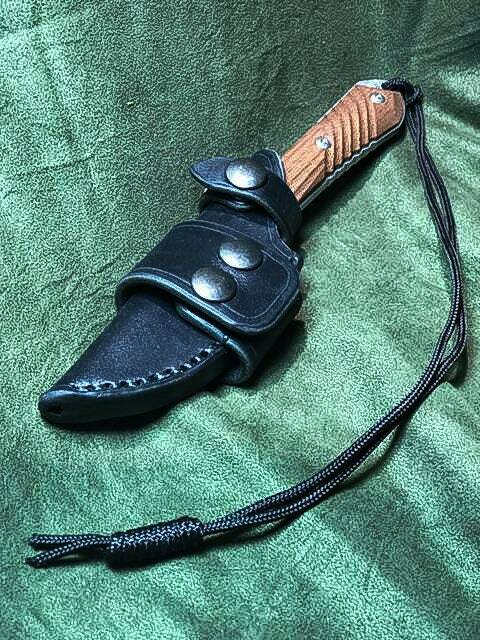 This sheath is an alternative to the vertical leather sheath that comes standard from Chris Reeve. 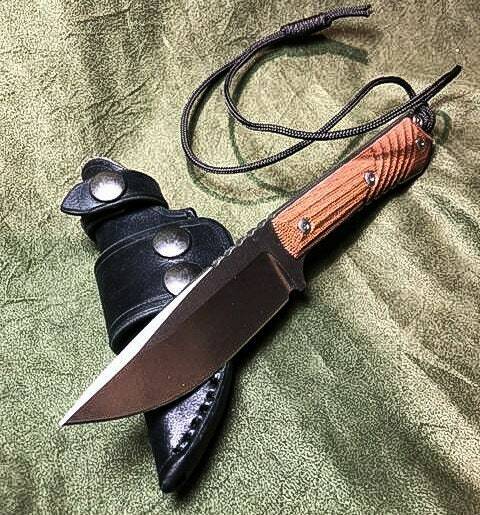 It is made out of 8-10 ounce latigo cowhide, and features a 1.5" wide strap that snaps closed to carry the knife horizontally on your belt, or with a solid 1.5" wide loop, which allows the knife to be carried on the Right or Left side, but does not unsnap, so must be threaded onto your belt. Each style comes with a snap closure loop around the grip of the knife. 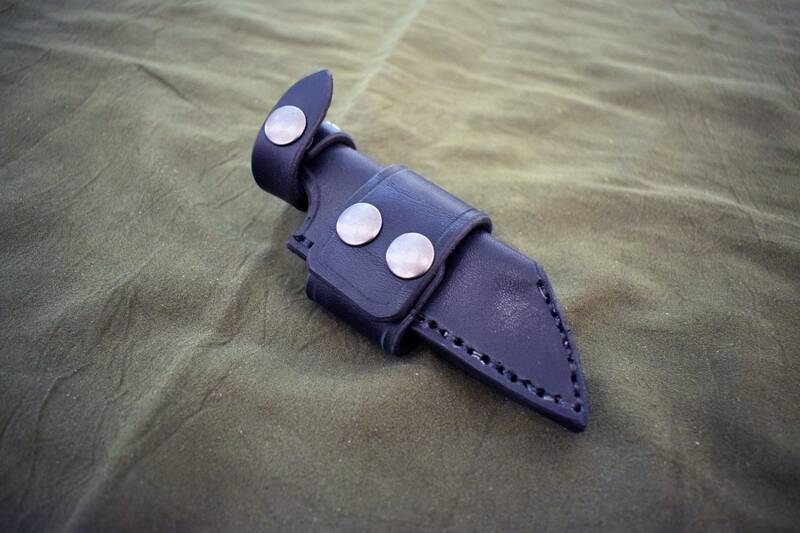 The sheath is meant to be carried in the back, keep this in mind when choosing the Left or Right handed snap closure option.